The Tilted Quilt is doing a great set of posts about Quilty Bucket Lists. There are so many different types of quilts I pin and want to do but am scared of for some reason. This is a great way to truly write down and prioritize what you want to accomplish in the coming months and years of this journey. There is this great picture of my dog Marta that I want to turn into a pixel quilt. I have even graphed it out and done the math and everything for it. I just recently got a Kona color card, so now I don't have an excuse, I can pick the colors, order them, and finally do it! 2. A quilt that utilizes all of my families vintage embroidered linens. I have inherited TONS of gorgeous hand embroidered linens that I want to turn into a quilt. There are so many beautiful ways of incorporating these pieces. 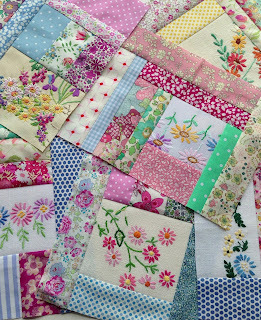 I think I will collect vintage sheets and frame them up sort of like the quilt below from HenHouse. I have been collecting selvages for about two years now and am even now starting to get selvage donations from fellow guild members! Thanks Chris! I want to put them all together like the quilt below, they look so awesome and cute and... I just really want to do that. But I need more selvages! Maybe in a couple more years I can conquer this challenge! I have had my Etsy shop prepped and ready to go for months now. I have even made inventory to put in it. The problem is that I am nervous that people won;t like my things and won't buy them. I know not everyone will like them and that's fine, but there's something that is just so vulnerable about putting your things up for sale. I will get there, hopefully by summer. I just redesigned the blog to fit with the Etsy shop style, and am working on business cards... One day, I just need to take the plunge and try! I have several ideas in mind and people have asked for patterns of quilts I have designed so I need to just do it. This also is slightly dependent on the opening of my Etsy shop in the undetermined future, so one step at a time. I am practicing with tutorials to try out the steps and clarity of instructions. In the next 6 months, I would like to actually do a legit pattern and will be looking for pattern testers as well once that day comes. So be on the look out! So those are my top 5 Quilty Bucket List items for the next 6 months. 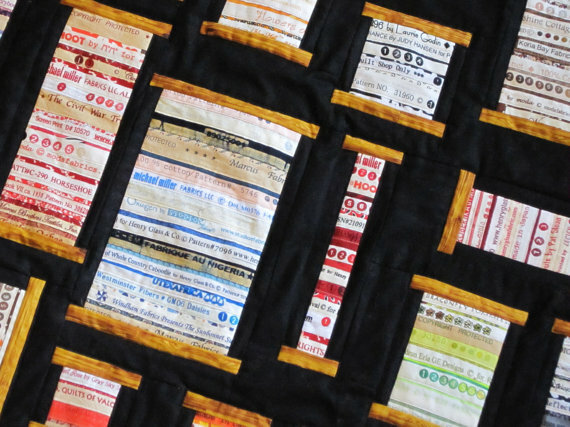 I would love to hear what are some of your Quilty Bucket List items? Fantastic list! I love the accountability of actually writing down and saying what you want to do "out loud" - at least virtually :) Good luck with your list, and thanks for linking up! Great list! Would love to be a pattern tester! Etsy: just go for it! oh this is a great list! 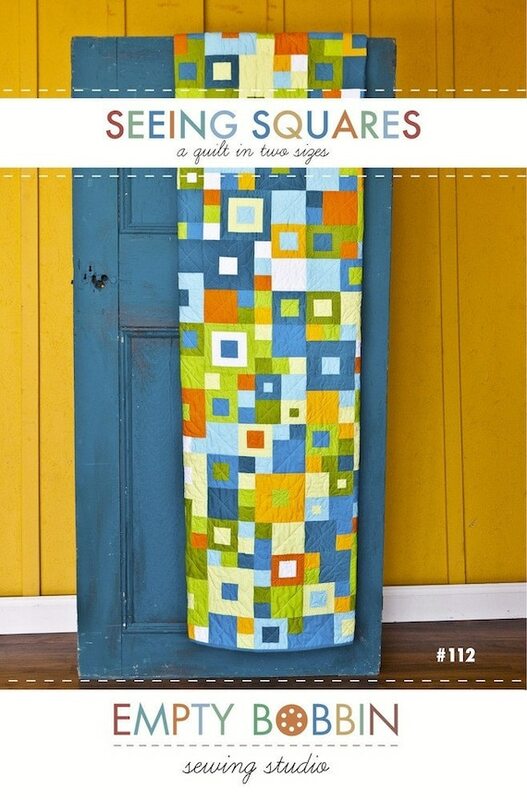 Love that you have some items that aren't quilts per se - like your patterns and shop. Also love the project with the embroidered linens! I don't have too many now, but I grew up in a household with embroidered dresser scarves and pillow cases, so I love seeing this! I think you should totally go for it with your Etsy shop! I opened mine about six months ago and although I may not get to quit my day job, it's been fun! You really never know what other people will be drawn to and what they will be willing to spend their money on. What kinds of things are you planning to sell? 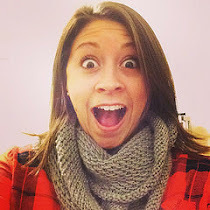 Love the new look of your blog and go for it on the etsy shop!! I can't wait to see your dog project!! Great bucket list too!